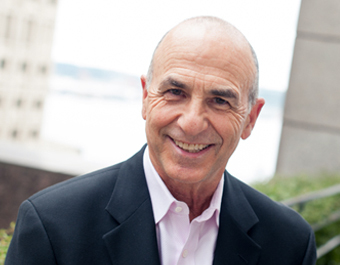 Bob Jaffe serves on the Board of Directors for Cascadia Capital Holdings. He was Vice President, General Counsel and Corporate Secretary for Pendrell Corporation (NASDAQ: PCO) from June 2012 until April 2014. Before that, he was a partner in the law firm of K&L Gates, and its predecessor, Preston Gates & Ellis, from 1986 until December 31, 2006. From January 2007 to July 2011, Bob was a Special Counsel with K&L Gates. He practiced corporate law, focusing on mergers, acquisitions and reorganizations, and primary outside counsel work. From 2001 until December 31, 2008, he served as co-investment manager for MRM Capital, LLC and a number of its affiliates. Starting July 1, 2007, he also began advising the Family Office established by James E. Coles and continues in that role. From August 2011 through January 2014 he served on the Board of Directors of Flow International Corporation (NASDAQ:FLOW); he resigned his position as director upon the closing of Flow’s acquisition by American Industrial Partners. He holds both a B.A. and a J.D. from the University of Washington.